Ocean Grove and Collendina will resume their A Grade rivalry with a compelling semi-final re-match this weekend after the Grubbers disposed of Barrabool on 10 March. Last season the Cobras and Grubbers played an epic A Grade semi-final tied thriller at Collendina which saw the higher ranked Cobras progress through to the decider and win the title. 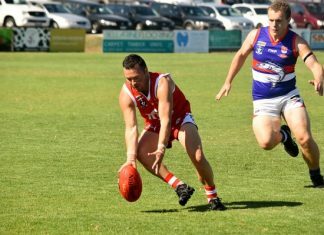 Ocean Grove claimed bragging rights over the Cobras in a spiteful contest at Collendina in Round 9 – which saw Cobra coach Corey Walter red carded and rubbed out for two games. Despite its away semi-final fixture at the Snake Pit, the Grubbers are in hot form and have won their last four games with wins against Winchlesea, Collendina, Jan Juc and Barrabool. The Grubbers have taken more wickets and more runs than any other A Grade club in 2017/18. Ocean Grove coach Paul Jubber confirmed it had been a pleasing 2017/18 season though he admitted the Cobras cannot be underestimated at home. Ocean Grove’s victory at Collendina on 10 February was the Cobras first loss at home since the start of 2013/14. “Collendina are a great club and they have had fantastic success in the last shorten period of time,” Jubber told the Voice. “We certainly won’t be underestimating what they will bring to the table – they have fantastic top end talent and we are aware of their strengths and they are probably aware of our strengths. Meantime Ocean Grove defeated Barrabool by 93 runs in a two-day clash at Barrabool Oval on Saturday. 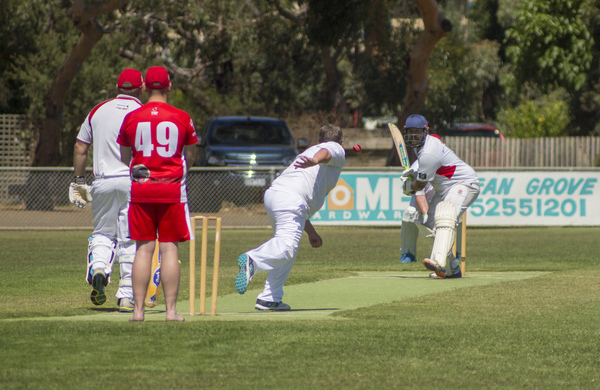 Barrabool was chasing 255 for victory after the Grubbers posted 9/254 on day one. Left-arm fast bowler Dan Roddis was a standout with 3/32 from 10 overs after his handy cameo innings of 24 with the bat on day one. The Bulls were dismissed for 163 from 65.1 overs on day two. Grubber bowlers Jackson Kent (2/38) and Paul Jubber (2/12) each took two wickets apiece. 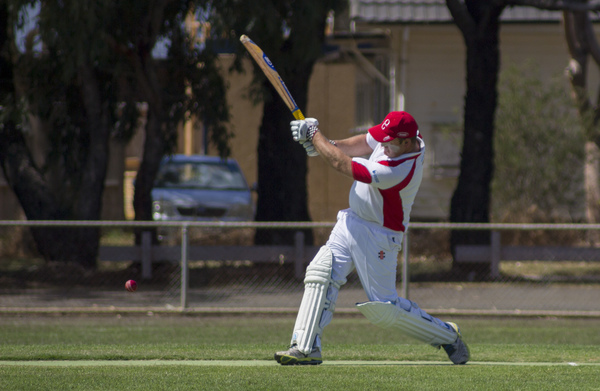 Ocean Grove wicket-keeper batsman Huon Bertino continued his consistent season with the bat, he top scored with 73 on 3 March. Bertino has scored 386 runs at 48.25 this season – and is the eighth highest leading run scorer in A Grade. Paul Jubber made a valuable 39, while gun bat Mick Kenneady chimed in with 30. The Grubbers finished the 2017/18 season in third place with 51 points with an 8-2 record. Ocean Grove was rewarded with a double chance in B Grade despite going down to Jan Juc in its qualifying. Third-placed Ocean Grove escaped finals elimination after being the highest ranked loser. Batting first Ocean Grove compiled 8/177 with Nathan Taylor (52) leading the way while Adam Spiby contributed 37. In reply Jan Juc, which finished in fourth position at season’s end, won with six wickets to spare to finish at 4/181. Ben Hanson hit a brilliant 96 with the bat in C Grade as Ocean Grove smashed Barrabool by 261 runs in their two-day match at Barwon Common. Batting first Ocean Grove posted a massive 5/299 with all-rounder Darren Craig provided good support with an unbeaten 73, while Craig D’Arcy remained 38 not out. In reply Ocean Grove ripped through the Barrabool bats – the Bulls all out for only 38 from 34.5 overs. Craig (3/4) and Craig Byron (3/19) each snared three wickets. The C Grubbers finished in top spot at the end of the regular season and will meet Armstrong Creek in home semi-final this weekend. D Grade minor premier Ocean Grove, who finished on top of the ladder, earned a week’s break before this Saturday’s preliminary final one-day match.